We know that antibiotics treat bacterial infections. We also know why they work. Tetracycline antibiotics, for example, stop bacteria from making protein. 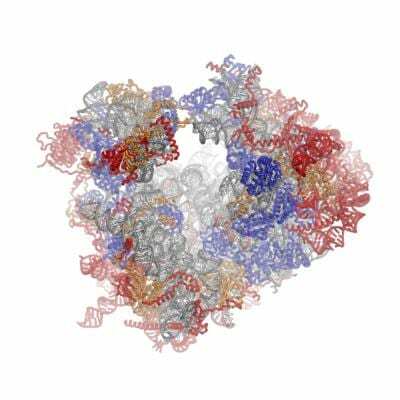 Like a boot on a wheel, the drugs bind to the bacterial cell's ribosome–where protein is made–and prevent it from working. Without protein, the bacteria weaken and die. This treatment has proven effective in clinical trials. Two patients, a young man and an elderly woman, who suffered from rare, stubborn diseases experienced complete remission after treatment with doxycycline, a type of tetracycline. Other tetracycline varieties have shown potential in early clinical trials with patients who have a number of diseases, including refractory metastatic cancers, rheumatoid arthritis and osteoarthritis, fragile X syndrome, AIDS-related Kaposi's sarcoma, and abdominal aortic aneurysm. The team used a powerful technique ("affinity isolation in tandem with mass spectrometry (MS)-based quantitative SILAC–stable isotope labeling by amino acids in cell culture– proteomics") to isolate each drug's target. In so doing, they observed that both analogs target our cell's ribosome, just as they do in a bacterial cell. "To our knowledge," the paper notes, "this represents the first direct evidence that tetracyclines have observable effects on human cytosolic ribosomes."